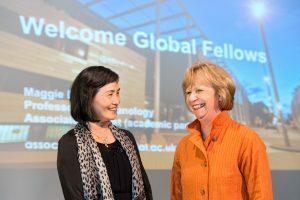 Imperial College London hosted the 2nd ICL-TUM Global Fellows Programme on June 10 – 16 2018 at the Olympic Park London. The focus of the 5 day program was on professional skills training and collaboration activities under the academic theme of “Cities of the Future”. The 2018 GlobalTech Robotics Workshop took place on May 26, hosted by the University of New South Wales in Sydney, Australia. 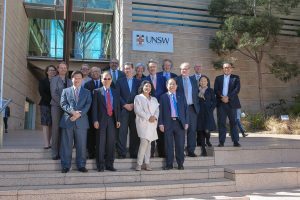 Academics in the field of Robotics convened at UNSW to discuss prevailing issues in the field of “Robots in Our Daily Lives”. The workshop began with interesting key note speeches followed by a number of scientific presentations relating to the topic from the members and attendees. GlobalTech Presidents and delegates convened on August 31 and September 1 at the 2017 GlobalTech Presidents’ Forum and Alliance Board meeting at the University of New South Wales in Sydney, Australia. GlobalTech member representatives discussed “Capacity Building in the Developing World – the Role of Universities”. The conference program can be found here. 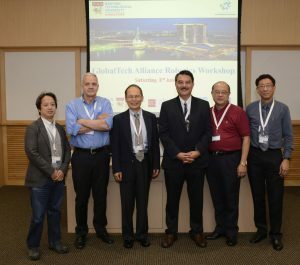 The GlobalTech Alliance Robotics Workshop 2017 took place at the premises of Nanyang Technological University in Singapore on 3 June 2017. More than 72 experts from 6 GlobalTech member institutions and 4 additional organisations listened to 14 thematic presentations in different fields of robotics. The participants engaged in a lively exchange on the state-of-the-art robotics research. The next GlobalTech Robotics workshop will be held in June 2018 at UNSW in Sydney, just after the ICRA conference (IEEE International Conference on Robotics and Automation (ICRA), May 21 – May 25 2018). Participants at ICRA will be able to easily extend their stay in Australia to join the GlobalTech Robotics Workshop. A global technological phenomenon is underway – advance of robotics is moving at a rapid pace. In order to keep pace, key global players in the field are forming strategic alliances. 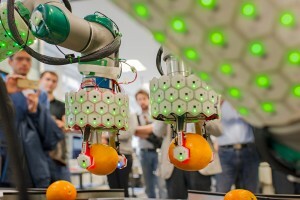 To mark this occasion a joint workshop was organized in Munich centered on the latest research in robotics. On the initiative of Prof. Martial Hebert from Carnegie Mellon University (CMU) and Prof. Gordon Cheng from the Technical University of Munich (TUM), more than 90 roboticists from 15 organizations from all over the world came together to discuss recent trends in humanoid robotics. Attendees included members from the five GlobalTech members ETH, NTU, SJTU, CMU and TUM. The workshop included thematic sessions as well as lab tour. Participants were enthusiastic about the opportunity to witness outstanding research presentations, and to explore the robotics labs at TUM. The organizers received an overwhelmingly positive feedback. 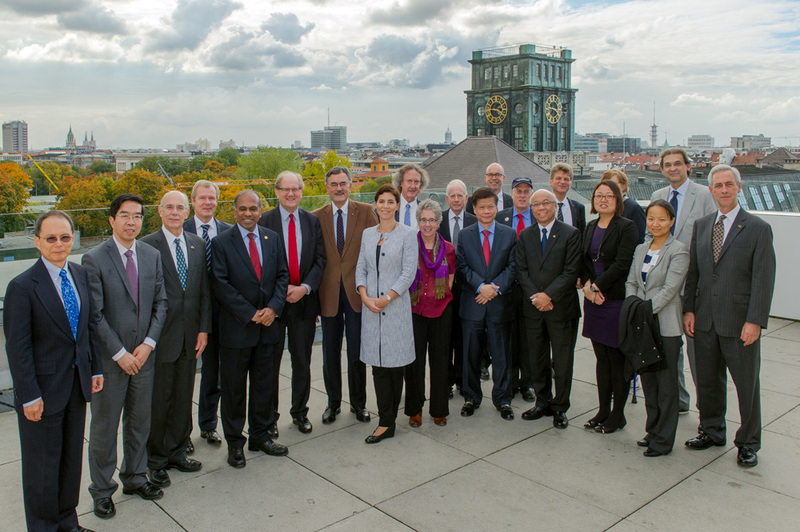 Following this initiative, CMU and TUM plan to continue the collaboration within the GlobalTech Alliance. A follow-up workshop is planned to build on the connections that have been established. 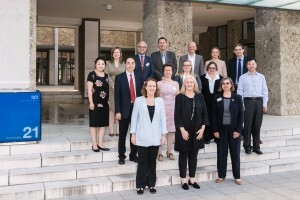 On July 7 – 8, representatives of seven GlobalTech member institutions gathered at Technical University of Munich TUM to discuss “Internationalization of Higher Degree Research Training”. The institutions present included Carnegie Mellon University, Georgia Tech, Imperial College, Shanghai Jiao Tong University, the Nanyang Technological University, the University of New South Wales, and TUM. Participants included the Vice Provosts, Directors and Deans responsible for graduate education at the respective univerisities. Each participant presented a case study from their home institution, which was followed by lively discussions. Dr. Carlos Härtel, CEO of GE Germany and Austria, share his perspective on doctoral education from an industry point of view, and speakers of the TUM graduate council contributed insights from the perspective of PhD candidates. The group explored ways to work jointly on initiatives to enhance doctoral training through internationalization. It plans to follow up on the forum with concrete activities that bring together the Allinace’s members in the area of doctoral education. 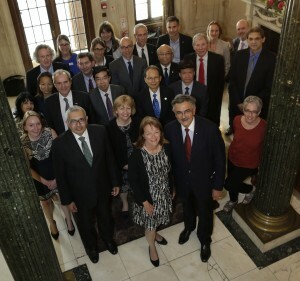 The next GlobalTech Presidents’ Forum took place on September 8th / 9th at Imperial College London. Senior management of GlobalTech member institutions exchanged experiences on “International University Collaboration: Innovating for Impact”. The Global Alliance of Technological Universities is a network of the world’s top technological universities.